From sports announcers to politicians, musicians to athletes, King & Bay notoriously honours its prestigious legacy of dressing some of Canada's most influential names, recently adding Mayor John Tory and Rob Baker from The Tragically Hip to the list. 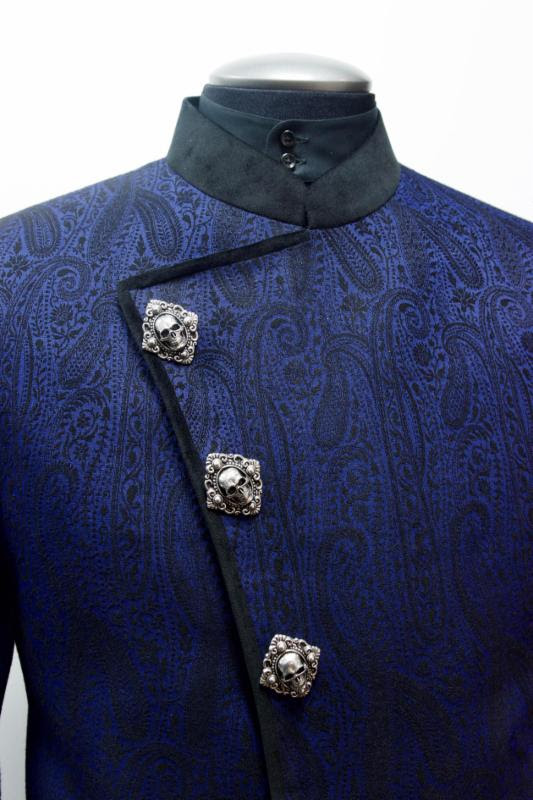 Having created a custom black sherwani inspired jacket for the leader of Canada's largest city, the personal touch synonomous with King and Bay included an intricate pattern of the Toronto city skyline in the inside of the jacket. 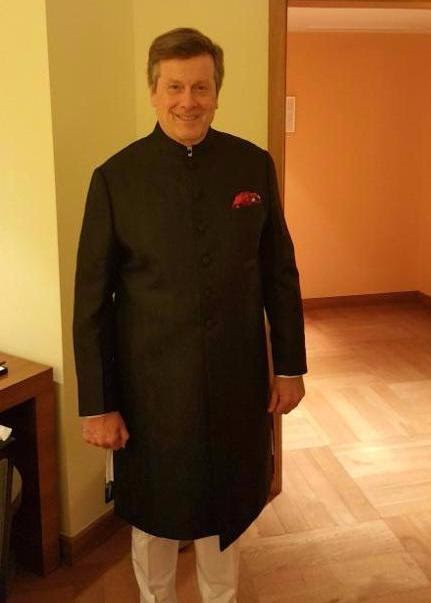 Mayor John Tory sported the suit jacket for his recent 10 day trip to India and Sri Lanka. "Adding Mayor John Tory to our prestigious VIP client list demonstrates to our entire team that our dedication to client service, fit and high quality custom wear is what North American men are looking for," comments Sathian Srikrishnan, General Manager, King & Bay Custom Clothing Inc.
"It is a true honour to have dressed Mayor John Tory and we look forward to working together again." 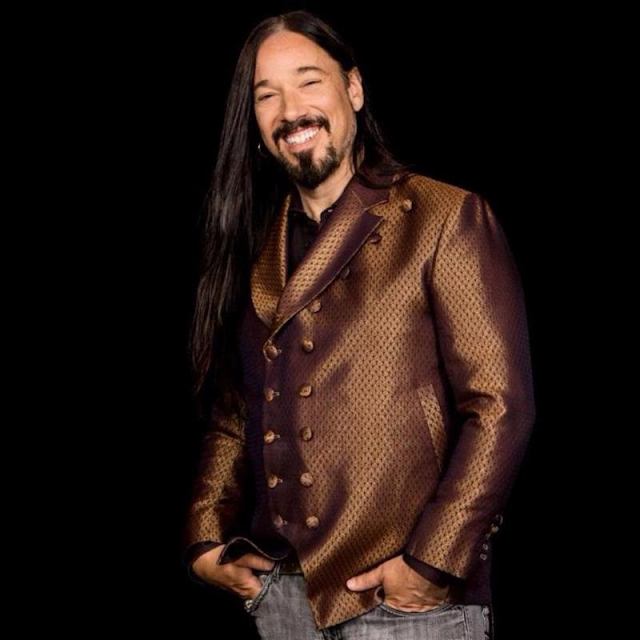 Also being dressed this month is Rob Baker, guitar player and band member of Canada's iconic band The Tragically Hip. 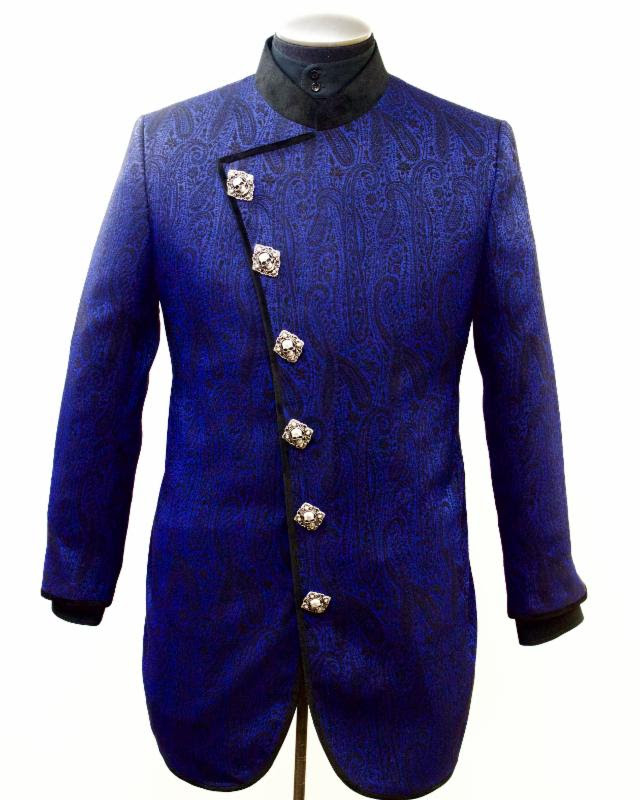 Rob will also be wearing a custom blue sherwani jacket complete with skull buttons at this week's Juno Awards in Ottawa. 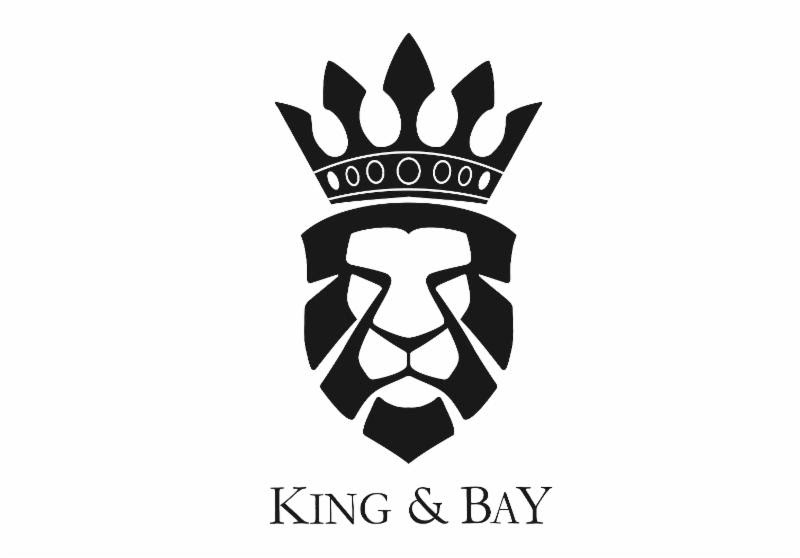 Images sourced from King & Bay Clothing Inc. Rob Baker is among some of the notable names in entertainment and sports King & Bay continues to work with. 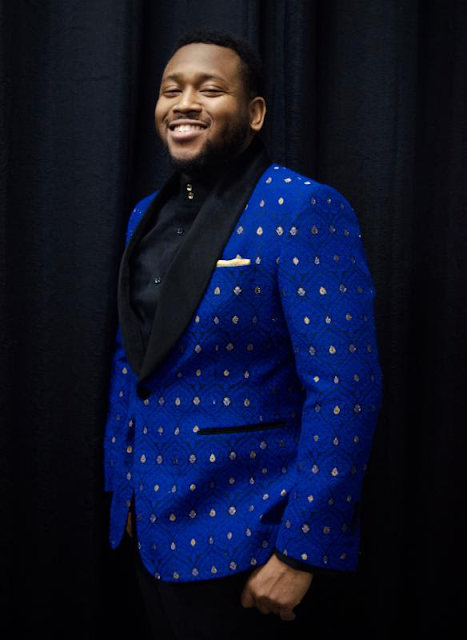 The King and Bay team has also dressed Canadian hip-hop producer Boi1da, UFC's Bruce Buffer and NHL players Joe Thornton, Brent Burns, Wayne Simmonds and Anze Kopitar this year alone. 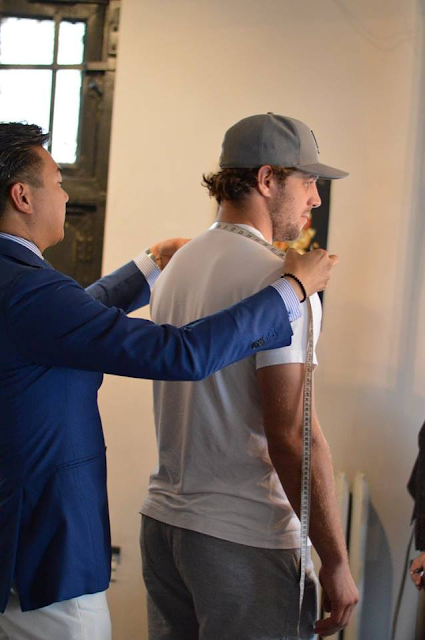 King & Bay carefully crafts their garments to ensure each piece is a unique piece of art, fitting each customer specifically for their personal style and fit. One of the only suiting companies that creates true bespoke pieces (not from a ready made pattern), King & Bay goes one step further and creates a trial suit for each client to ensure the fit, look and feel is exactly what the client hoped for. 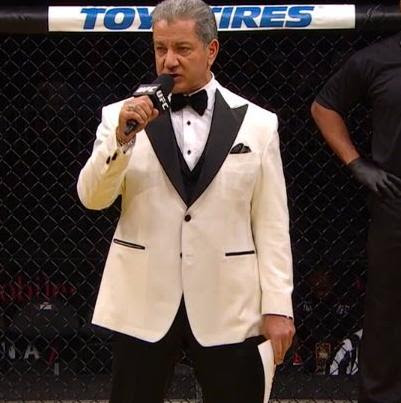 Earlier this year legendary UFC announcer Bruce Buffer sported a custom King & Bay jacket that caused a social media stir and had everyone talking about his custom piece. A stunning white silk jacket inscribed with his catchphrase "It's Time" on the collar, the attention to detail and dapper look had both sports fans and fashion followers raving. For more information, please visit: www.MyKingAndBay.com. 'The Kingsmen', of King & Bay Custom Clothing, are the most highly trained, experienced and skilled Master Clothiers. Since 2009, King and Bay have crafted custom and bespoke suits created from fabrics sourced from the top mills in Italy, England and the rest of Europe. Their service, product and approach have all been imagined and crafted around offering clients the ability to get it just right.